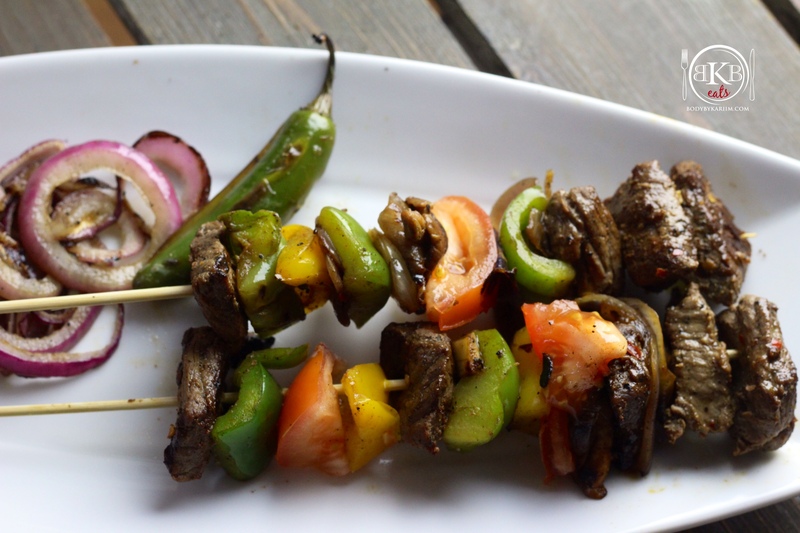 A simple sirloin kabob recipe with a hint of spice that will knock your socks off! Kabobs are fun, easy to grill whether it be on an outdoor grill or in the kitchen on a grill pan. Take steak out and allow to sit until room temperature. Pre heat oven for 400 degrees. Chop onions, peppers, mushrooms, and tomatoes, in large enough pieces for kabobs. Line baking pan with parchment paper and place your chopped ingredients in the pan. Drizzle tablespoon of olive oil. Place in oven and roast for 10-15 minutes or to desired doness. Remove veggies from the oven let cool for 5 minutes. Cube steak and place meat and vegetables on the skewers to your liking. Plate & Enjoy!